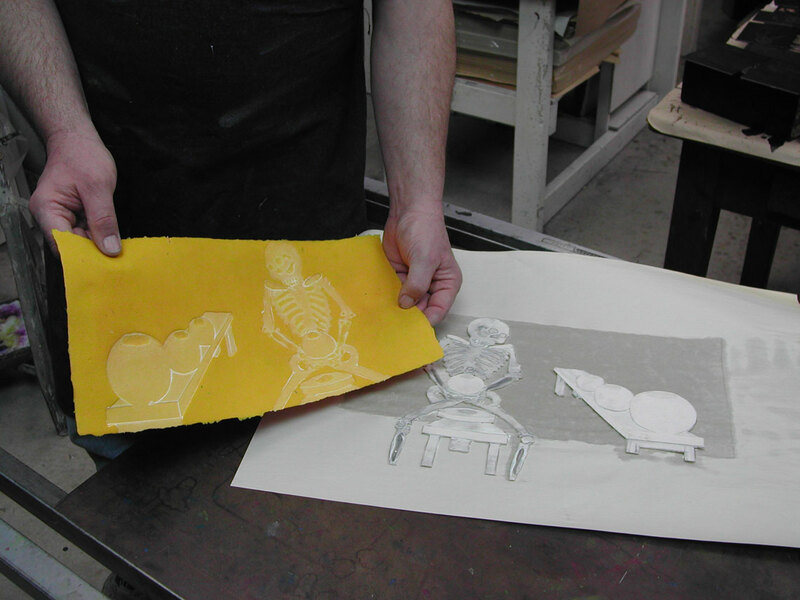 The sheets of paper are made on a screen-like mold, with a removable deckle that fits over the wooden frame to fence in the pulp. 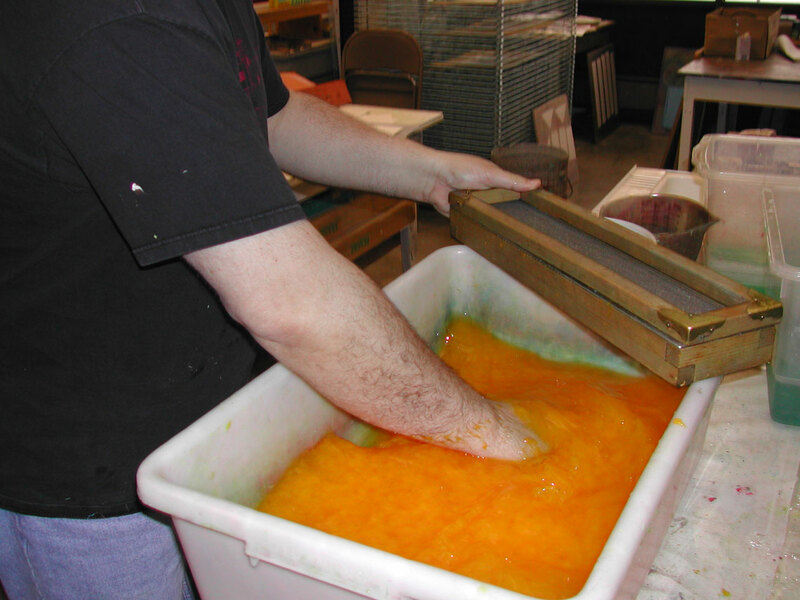 The mold is dipped into the pulp vat and pulled straight up. 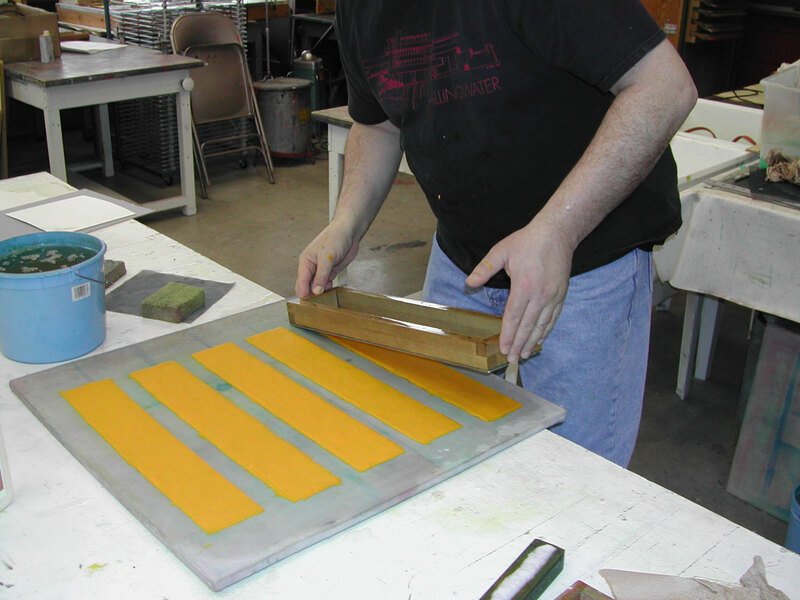 As the water begins to drain, the mold is shaken to prevent graining and to help the fibers weave. 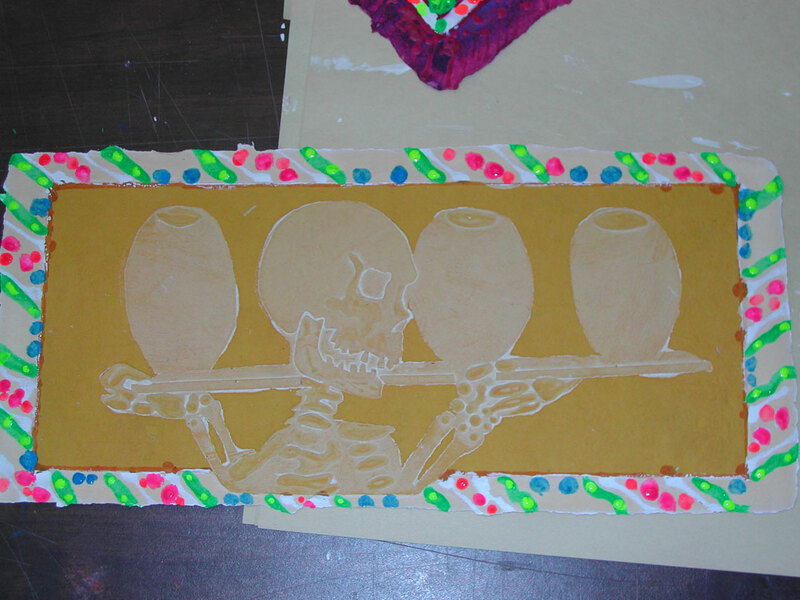 Next the wet sheet is transferred (using a procedure known as “couching”) to a moist canvas covered board. 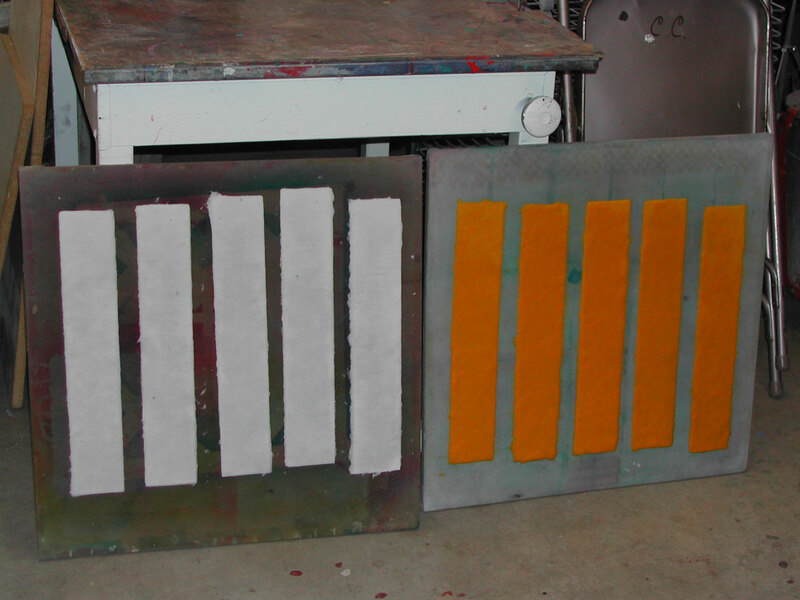 After the sheets of paper are dry, they are removed from the canvas boards and they are ready for further work. 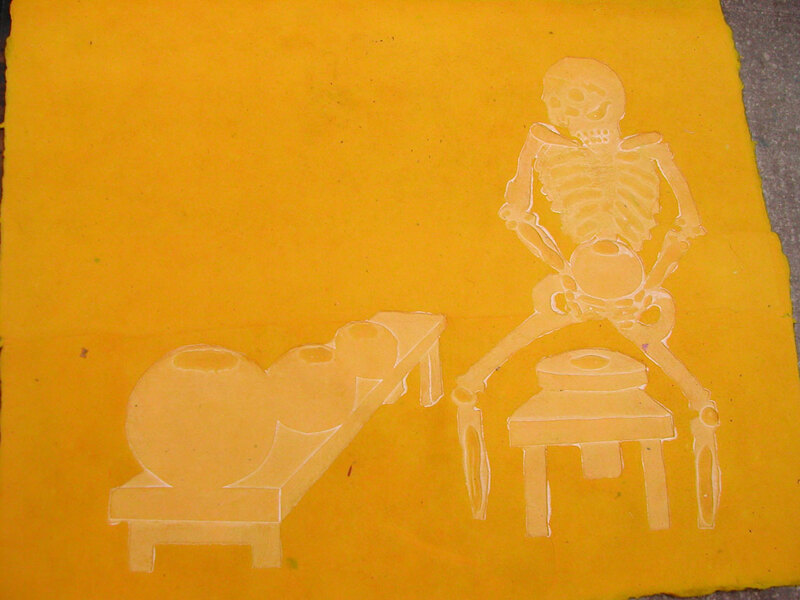 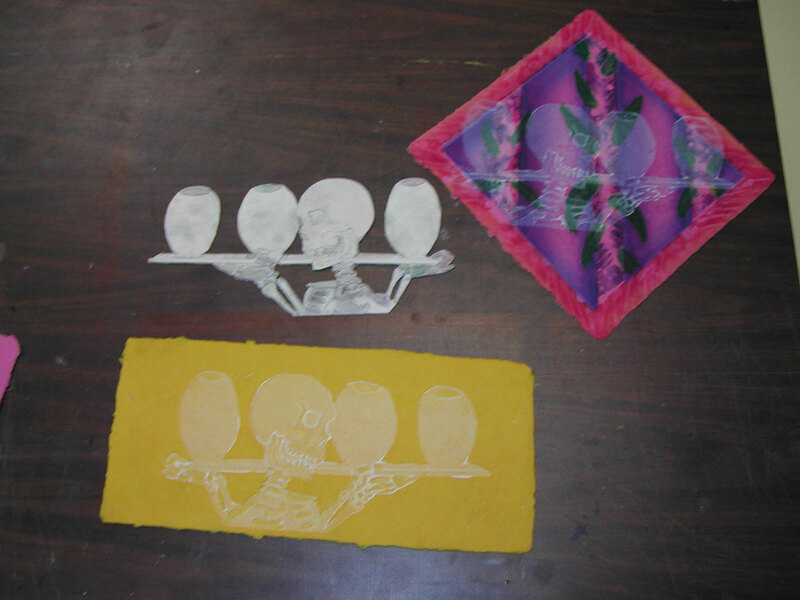 At this point in the process, various coloring techniques, such as wax batik, paint, wood, found objects, gold, and silver leaf can be used.